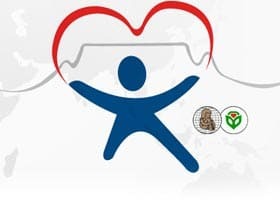 The first stop for Take Heart is the 6th World Congress of Paediatric Cardiology & Cardiac Surgery in Cape Town South Africa (17-22 February 2013). The production team will travel to the Congress and conduct interviews with a range of international experts and hopefully take to the field to document programs servicing patients and their families living with Acute Rheumatic Fever (ARF) or Rheumetic Heart Disease (RHD) to help demonstrate the scale, scope and human cost of the unnecessary suffering, disability and death caused by these conditions. Upon returning to Australia we hope to assemble these materials into a short film and conduct further filming in outback Australia. If you know of any individuals or foundations interested in supporting these activities please email us.